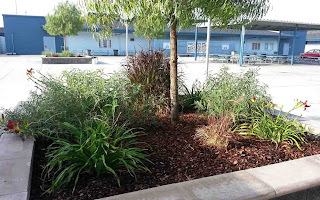 The courtyard at McAuliffe Middle School in Los Alamitos has a new look just in time for the new school year. 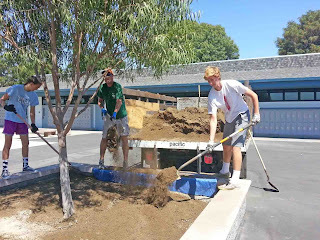 Hagen Given, a junior at Los Alamitos High School, spruced up six of the large, 8’x8’ planters in the courtyard as part of his Eagle Project. Twelve planters are in the courtyard. 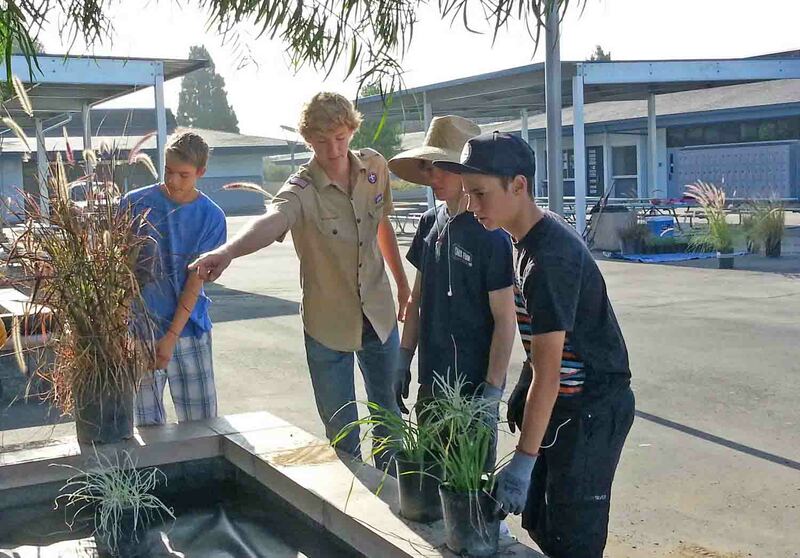 Last year, Hagen upgraded six of the planters. This year, he completed the remaining six. 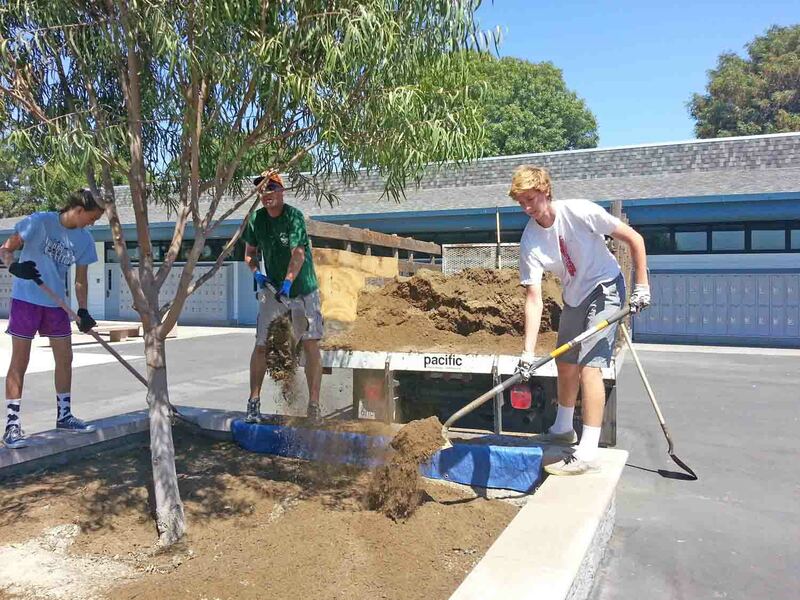 Hagen raised all the funds for this project himself. He made up a flyer that he passed out in multiple neighborhoods asking if he could collect people's recyclables (papers, plastic and glass bottles). He recycled over 400 (yes, 400) bags of materials to earn money to buy the plants. 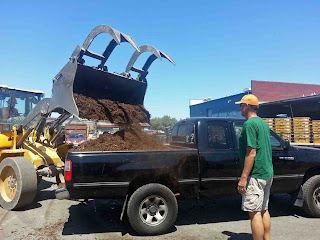 Agromin donated 2 cubic yards of planting soil and 2 cubic yards of mulch to cover the beds. Volunteers pulled weeds, tilled the planting soil into the existing soil, laid down a weed barrier and then planted New Zealand flax, society garlic, day lilies and green and red fountain grass. Hagen chose drought-resistant plants that matched the plants in the first six planters.